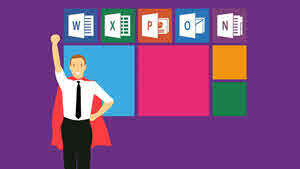 Is Office 365 set to be Microsoft's next breakout success? Speaking at the Morgan Stanley TMT conference in March 2018, Microsoft’s CEO Satya Nadella claimed that Office 365 offers the greatest opportunity for Microsoft as a program and enterprise in the company’s history. Microsoft has also witnessed rising revenue and greater business potential in both their Microsoft Azure and Microsoft Power BI. In the Morgan Stanley TMT conference, Nadella said, the growth opportunity for what is Office 365 is a lot bigger than anything we’ve achieved [before]. That statement tests true; with over 27 million Office 365 users, the cloud-based program suite is flourishing in business, home and education use. Microsoft has also witnessed rising revenue and greater business potential in both their Microsoft Azure and Microsoft Power BI. The company is expecting the latter to bring in some $500 million annualized billings run rate for the 2018 fiscal year. Office 365 is the collective term for Microsoft’s subscription-based productivity software suite, including Word, OneNote, OneDrive, Outlook and so on. Data processed and saved in the Office 365 suite is stored via the Cloud, allowing users to access their data regardless of the device. Too, this data is made even more accessible as Office 365 features IOS and Android apps, a mobile site and regular working site, and downloadable programs available for Windows and MacOS. Power BI is a cloud-based business analytics service which allows its users to analyse and share accumulated data with greater speed, efficiency and understanding. Much like Office 365, Power BI features wide accessibility through its variety of specialized web programs, device applications and downloadable programs. Cloud computing is a dynamic style of online computing, in which virtualized resources are provided as a service over the internet. Data is stored on servers controlled and maintained by the relevant company and the data contained within is regularly synced with any systems subscribed to the service. Through secure login, subscribers can access their data remotely through mobile applications or web-page based programs; in fact, it is becoming less necessary for the downloading and syncing of cloud-stored data, as these web-based programs improve. Examples of these programs include Evernote Web or Office 365 itself. Evernote Web is a note-taking journal product which, while designed to look and feel like its downloadable predecessor, is completely accessible as a full and free cloud-based program through your web-browser. Cloud computing was first conceptualized in the 1960s by JCR Licklider where he envisioned everyone across the globe accessing programs and data at any site and from any location. While a bit of a stretch, this is an essentially unchanged vision of what Cloud Computing is coming to represent today. One of the first significant points in cloud computing history was the arrival of Salesforce in 1999, which pioneered the concept of delivering enterprise applications through a website system, much similar in concept to that of Evernote Web and Office 365 today. Salesforce still exists as a major competitor to Microsoft’s Power BI product. Amazon Web Services developed in 2002, which furthered what Salesforce began by providing a more complex suite of cloud-based services including data storage. Today, however, many web users will arguably get their first experience of the cloud from online storage solutions like Dropbox, Microsoft's OneDrive or the Google Cloud Platform, three applications that perhaps represent the purest version of Licklider's original vision; each allows users to collaborate with others worldwide through the storage and sharing of files online. Login and passcode systems can often be seen as a sort of forerunner to true cloud-based storage. Many online non-download games from the 2000s period, like Runescape and those offered by Grosvenor Casino, store player data in a secure central database, which was accessible to the user through their own personalised login. This login aspect is integral to cloud computing and grew as a major security function in this decade. To this day, online casinos in particular offer an approximation of cloud gaming by offering web-based, instant-play versions of their games that can be accessed from anywhere, at any time. 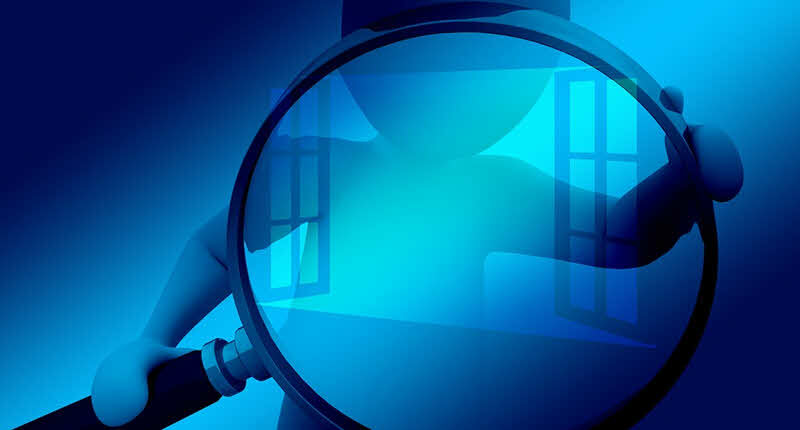 Unlike many cloud-based services though, this type of software can allow the user to work and play anonymously, and operate from public machines without the risk of leaving a footprint for malicious actors to exploit. The mid-2000s also saw the first cloud computers make an appearance. In 2006, Amazon introduced its Elastic Compute Cloud, which allows users to communicate with Amazon virtual machines through the Cloud. These virtual machines, referred to as “instances”, allow users to use alternate operating systems (like Linux) or Amazon programs, while also allowing the user to control the geographical location of the instances they create, preventing latency issues. 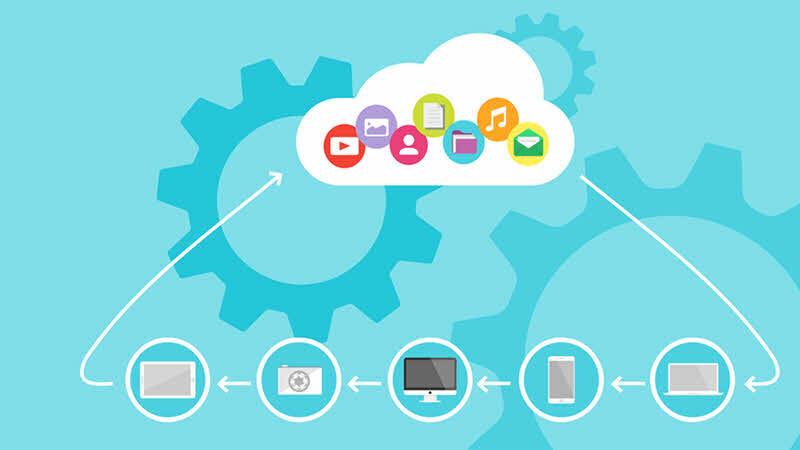 Cloud computing would continue to develop and it hit another big milestone in 2019 when Web 2.0 exploded in popularity and fashion. At this time, browser-based applications to access cloud systems were becoming more widespread, with services like Google Apps becoming more common. This advance would continue until today when cloud storage is relatively easy to achieve, and data can be accessed in a variety of ways from online systems to applications. Alongside the growing popularity of browser-based applications, Microsoft released Microsoft Azure (known at the time as Windows Azure). Azure was announced in 2008 and released two years later. The cloud-computing service is another program series separate from both Office 365 and Power BI, which is designed for building, deploying and managing new applications. Azure was Microsoft’s first major foray into the world of cloud-computing and it is still breaking ground eight years later with its independent claim as the world’s only “consistent hybrid cloud”. This means that access and rights to each user’s Azure cloud can be specified as public or private whenever desired and how often the program syncs with the cloud can also be easily managed. Azure is focused on developers and business. Too, Microsoft Power BI is focused on data analytics and enterprise. The expansiveness and employability of Office 365 offer an explanation as to why it is pulling ahead of the latter two in Microsoft’s predictions. And, in managing all these separate cloud-based products, Microsoft has the perfect level of practice and experience to further improve Office 365 and develop it as an incredibly convenient and accessible platform. It’s going to be very interesting to see what they do with Office 365 in the future. If you have come this far, it means that you liked what you are reading (Is Office 365 set to be Microsoft's next breakout success? ).